Great photos and interesting account. Thanks for reading my travelblog, you might enjoy todays update, Bulgaria to Greece (I do intend to finish it too). Hi Tim and Ange, hows it going? Thanks for more great pics. Look at granny grump in the rain, brilliant! Hi all, Lovely to see your happy faces in these photos, are you are planning the next mad adventure now the nights are drawing in? I am still on Lesvos, doing a sailing course and basking in the women's festival. Well, someone's got to do it. At long last we have sorted out our photos from the trip. However I am not sure how to post the pictures on this forum page. I will look for instructions, so watch this space. Chris - We are on for any trip next year. Help! It does not look very easy to put my photos on the forum site since they are on my PC. I don't understand the suggestion in faq. Any suggestions for a quick method of achieving this? Ok so untill we work out how to post pics, u can look at the above web site which should be public..
still the best trip ever and will be more later. So pilchards, or rollocks whatever the password is????? Use photobucket for the pictures...upload to photobucket from 'puter, and put them on the Forum using the image code...If stuck, ask , and I'll get Tony to help. Looking foreward to the piccies. In the beginning there was nothing , then God said "Let there be Light".....There was still nothing , but ,by crikey, you could see it better. Phil - Doesn't seem to be a easy way of putting photo's up, web site keeps crashing on me after loading 4 or 5 photos. I will have another go next week to get some more photo's posted, meanwhile, glad all got back ok (in varying degrees - Tom/Janet: did you get sorted in the end?). Thank you all for your advice. I have put some of our pictures on Picasa, so now all I need to do is transfer them to these forum pages. I will try 4 pictures at a time later today or tomorrow. Our Bongo has been in the garage for the last week having the rear differential and a front wheel bearing changed to try to eliminate the noise and tyre wear experienced on the Bulgaria trip. Spike - I got a pair of new front tyres at Schlitters, Zillertal on the way home, but we did not try the MacCafe. Maybe next time in Zillertal. We are going back there for a week at the end of October. 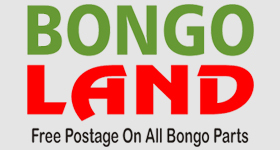 We are booked onto another Bongo rally at the end of September. The NW group meeting at Silverdale. Not such a challenging journey since it is only about 10 miles from home! Did you go back via Greece after all??? We returned through Romania, Hungary, Austria, Germany, Luxenbourg and Belgium. Janet & Tom went back through Greece. We've got our Bongo back from the garage with a new front wheel bearing and exchanged diferential and rear transmission. There is still a noise from the front somewhere that is not coming from the obvious places, but hey the Bongo runs well. I have put some of our photos on Picasa. I am not sure how to copy onto these pages, but here is the link. Please let me know if anyone can view these, or anything else that needs to be done. The photos were good...coo..I like the Romanian Alpine village!...wonder how much the houses are?? ?...Romanian is a lot easier language to understand...and the people seem friendly...We've only been in Southern Romania...must visit the North!!!! Lots more lovely photos all. Looking at the pics activated my wanderlust again. We're back to Bulgaria for a week in October, but flying this time, .. we have a number of large fruit trees in our garden in urgent need of pruning. Only bobbed into BongoFury to look for guidnace on prop shaft oil seals, which we apparently need, but cant find this months main site password ! (any reminders gratefully received!) Going to check the rest of your blog in a bit Chris. The dog needs walking before the rains arrive ! Duct tape is like The Force. It has a dark side, a light side, and it holds the world together.